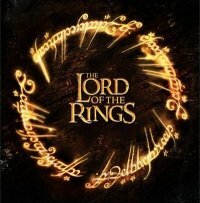 Warner Bros TV India broadcasted the epic LOTR trilogy last night- back to back. And thanks to some fellow tweeps, I got to know about it just in time. I have watched the movies separately before and had heard from friends that watching all three of them together gives the experience a whole new dimension. Naturally, I pounced upon the opportunity on a calm, rainy Saturday. As I watched the movies, I kept tweeting (almost live-tweeted) the notable events of the movies. Here's a compilation of all the tweets (except the profane ones which had spurted out of excitement hehe) of #LOTRMarathon last night. All in all there are 72 tweets in total. I also won a WB Slider-speakers set in the process (totally unknowingly), as part of a twitter contest organized by Warner Bros TV India. Cool surprise I'd say. So it was a good day and well-spent 10 hours. #LOTRMarathon- will do it again in near future.